Piazza del Campidoglio, tel. 0639967800. The citys collection of ancient sculpture in Palazzo Nuovo and Palazzo dei Conservatori, plus the Tabularium and the Pinacoteca. 09.00-20.00. Mon closed. 6,20 + exhibition supplement. Guided tours in Italian on Sat and Sun. 7-day Capitolinicard includes entry to Montemartini (ACEA) Art Centre, 8,26 + exhibition supplement. Lungotevere Castello 50, tel. 066819111. Built by the Emperor Hadrian as a mausoleum for himself and his family, after the 6th century it was used as a fortress, prison and palace by the popes. 09.00-19.00. Mon closed. 5. Guided tours in English and Italian on prior booking, tel. 0639967600. COLOSSEUM, PALATINE AND ROMAN FORUM. Colosseum: Piazza del Colosseo. Palatine: entrances at Piazza di S. Maria Nova 53 and Via di S. Gregorio 30. Roman Forum: entrances at Largo Romolo e Remo 5-6 and Piazza di S. Maria Nova 53. Tel. 0639967700. 09.00-19.30. Single ticket gives entry to the Colosseum and the Palatine (including the Museo Palatino; last entry 2 hours before closing). 8. Admission to the Roman Forum is free. Guided tours in English and Italian. Via delle Botteghe Oscure 31, tel. 0639967700. Mediaeval museum on the site of the portico of the Imperial Roman Theatre of Balbus. The latest phase in the reorganisation of the Museo Nazionale Romano. 09.00-19.45. Mon closed. 4. Guided tours in Italian. Viale della Domus Aurea, tel. 0639967700. Remains of Emperor Neros once vast and magnificent residence; part of the wall paintings are still visible. 09.00-19.45. Tues closed. Booking essential. 5 + 1,50 booking fee. Guided tours in English and Italian on prior booking. Palazzo Doria Pamphilj, Piazza del Collegio Romano 2, tel. 066797323. 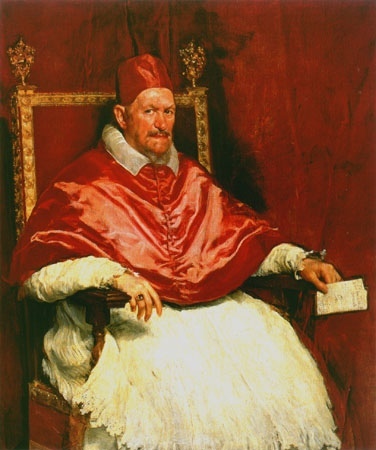 Residence of the Doria Pamphilj family, it contains the familys private art collection, which includes a portrait by Velasquez, a sculpture by Bernini plus work by Raphael, Titian, Tintoretto and Caravaggio. 10.00-17.00. Thurs closed. 7,30, reduced and groups 5,70. Ticket includes audio guide. For bookings (optional) tel. 0632810. Via Ostiense 106, tel. 0639967800. Over 400 pieces of ancient sculpture from the Capitoline Museums are on show in a former power plant. 09.30-19.00. Mon closed. 4,13. Guided tours in Italian. 7-day Capitolinicard includes entry to Capitoline Museums, 8,26 + supplement for exhibition. Viale Enrico de Nicola 78, tel. 0639967700. Part of the protohistorical section of the Museo Nazionale Romano in the Baths of Diocletian plus the restored cloister by Michelangelo. 09.00-19.45. Mon closed. 5. Guided tours in Italian. Viale delle Terme di Caracalla, tel. 0639967700. The third-century bath complex that remained in use until the Goths cut its water supply in the sixth century. 09.00-19.30. Mon 09.00-14.00. 5. Guided tours in Italian. Piazzale Scipione Borghese (Villa Borghese), tel. 0632810. Sculpture by Bernini and Canova, paintings by Titian, Caravaggio, Raphael, Correggio. 09.00-19.00. Mon closed. Booking compulsory (book well in advance): tel. 0632810, fax 0632651329 (groups). 8,50. Guided tours in English and Italian. ETRUSCAN MUSEUM AT VILLA GIULIA. Piazza Villa Giulia 9, tel. 063226571. National Etruscan collection. 08.30-19.30. Mon closed. 4. Guided tours in English and Italian on prior booking, tel. 0682077304. Via della Pilotta 17, tel. 066784350. Paintings by Palma il Vecchio, Tintoretto, Bronzino, Guercino, Salvatore Rosa, Annibale Carracci. Sat 09.00-13.00. 7. Guided tours in English and Italian when available. For visits on other days and to see the apartments of Princess Isabelle by appointment only (min 10 people). GALLERIA COMUNALE DI ARTE MODERNA E CONTEMPORANEA. Via Francesco Crispi 24, tel. 064742848. The citys permanent collection of modern art. Not all the collection is visible at the moment. 08.30-13.00, 14.00-19.00. Sun and holidays 09.30-13.30. Mon closed. 2,58. Viale delle Belle Arti 131, tel. 06322981. National collection of modern art. 09.00-19.30. Mon closed. 6,50. Group tours in English and Italian on prior booking, tel. 063234000. Piazza Capodiferro 13, tel. 066861158. Works by Guido Reni, Titian, Andrea del Sarto, Baciccia, Rubens. Ticket includes visit to Borromini trompe loeuil perspective. 08.30-19.30. Mon closed. 5,16. Guided tours on prior booking in English and Italian, tel. 066832409-068555952. Viale P. Canonica 2 (Villa Borghese), tel. 068842279. The collection, private apartment and studio of the sculptor and musician Pietro Canonica who died in 1959. 09.00-19.00. Holidays 09.00-13.30. Mon closed. 2,58. Guided tours Sat am on prior booking, tel. 0682077304. Piazza G. Agnelli 10, EUR, tel. 065926135. Replicas of ancient Roman artefacts. 09.00-19.00. Sun and holidays 09.00-13.30. Mon closed. 4,13. MUSEO DELLE ARTI E TRADIZIONI POPOLARI. Piazza G. Marconi 10, EUR, tel. 065926148. Traditional Italian tools, crafts, clothing, furniture, musical instruments, jewellery. 09.00-14.00. Sun and holidays 09.00-20.00. Mon closed. 4. Guided tours on prior booking. MUSEO DI ARTE CONTEMPORANEA DI ROMA (MACRO). Via Reggio Emilia 54 and Piazza Giustiniani 4 (Mattatoio), tel. 0667107900. The citys collection of contemporary art plus temporary exhibition space. Via Reggio Emilia 09.00-19.00. Mattatoio 16.00-24.00. Holidays 09.00-14.00. Mon closed. 5,20 for Via Reggio Emilia, admission free for Mattatoio. Via Merulana 248, tel.064875077. Created to house ancient finds from Italian excavations in Pakistan, Iran and Afghanistan, today the museum also includes sections on Tibet, Nepal, India, China, Japan, Korea and south-east Asia. 08.30-14.00. Tues, Thurs, Sun and holidays 08.30-19.30. 1st and 3rd Mon of the month closed. 4. Free guided tours in Italian should take place on Sun (11.00 and 17.00) but check before going. For tours on other days tel. 064874415. MUSEO PREISTORICO ED ETNOGRAFICO L. PIGORINI. Piazza G. Marconi 14, EUR, tel. 06549521. Prehistoric Italian artefacts and ethnological material from various cultures. 09.00-20.00. 4. Group tours in English and Italian on prior booking, tel. 064403386. Piazza S. Apollinare 46, tel. 0639967700. Ancient sculpture from the Museo Nazionale Romano, including the Ludovisi collection. 09.00-19.45. Mon closed. 5. Guided tours in Italian. Via Barberini 18, tel. 0632810. National collection of 13th- to 16th-century paintings. 09.00-19.00. Mon closed. 5 + 1,03 booking fee (booking optional). Visit to private apartments on prior booking. MUSEO DI ROMA - Palazzo Braschi. Via S. Pantaleo 10, tel. 0667108346. The citys collection of paintings, etchings, photographs, furniture and clothes from the Middle Ages to the 20th century. 09.00-19.00. Mon closed. 6,20. Guided tours in English and Italian on prior booking, tel.0682077304. PALAZZO CORSINI - GALLERIA NAZIONALE D'ARTE ANTICA. Via della Lungara 10, tel. 0668802323. National art collection of 16th- and 17th-century paintings. 08.30-13.30. Mon closed. 4. Largo di Villa Peretti 1, tel. 0639967700. Important Roman paintings, mosaics, sculpture, coins and antiquities from the Museo Nazionale Romano, including the Kircherian collection. 09.00-19.45. Mon closed. 6. Guided tours in Italian. Via del Plebiscito 118, tel. 0632810. Much of the permanent exhibition is closed for restoration. Mediaeval to 18th-century decorative arts. 08.30-19.00. Mon closed. 4. Guided tours in Italian. Also temporary exhibitions. ROMAN DOMUS ON THE CELIO. Viale del Vaticano, tel. 0669883041. Not only the Sistine Chapel but also the Egyptian and Etruscan collections and the Pinacoteca. Mon-Fri 08.45-16.30. Sat, Sun 08.45-13.30. Sun closed except last Sun of month (free of charge) 08.45-13.30. 10. Piazza Aracoeli (off Piazza Venezia), tel. 066991718. Monument to Vittorio Emanuele II and Italian unity, and Museo centrale del Risorgimento. 09.30-18.30. Admission free. Piazza di Ponte Umberto I, tel. 0668806286. 09.00-19.00. Mon closed. Guided tours in Italian on Sat and Sun. 2,60. Piazza di Spagna 26, 00187 Rome. Tel. 066784235. Mon to Fri 09.00-13.00, 15.00-18.00. Sat 11.00-14.00, 15.00-18.00.